is a top-rated Los Angeles & South Bay realtor, part of Palm Realty Boutique & Leverage Global Partners, an international boutique. She specializes in luxury real estate and cryptocurrency transactions and is a local area expert of the most exclusive communities. Melanie is alongside Southern California's most affluent sellers and buyers each step of the way, allowing for the most effortless transactions possible. Through working tirelessly with her discerning clientele, they become like family. Her undying dedication to her clients is what makes her memorable - she's available to you at all times, and always ensures that you feel confident and extremely satisfied with the entire process. Melanie's vast network has allowed her to quickly find the absolute best buyers for her sellers' properties. Also known for her popular concierge services, she facilitates every step for you: from finding the best painters, handymen, interior designers, and more, you'll be very comfortable settling into your new investment and neighborhood. Melanie started her career in development and was voted a Watt Industries "All-Star" when she worked for this renown developer in 1986. She has built many luxury spec homes in gated golf course communities through the years, and has been a licensed Real Estate Agent since 1989. 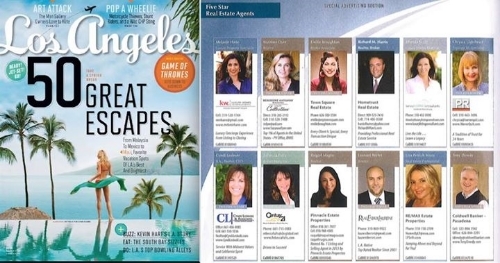 In 2015, 2016, 2017, & 2018, Melanie received the Five Star Award, which recognizes less than 7% of Los Angeles professionals, and was also awarded for being in the Top 1% in client satisfaction. A true reflection of her dedication to clients, she was voted by Daily Breeze readers as "South Bay's Favorite Realtor." For many years, Melanie was a Top Producer for Keller Williams South Bay, and in early 2018, she proudly joined Palm Realty Boutique, where she has been a Top Producer ever since.